"Promstroy-Energo" company also provides services on routine maintenance and major repair, reconstruction and modernisation of equipment on electrical objects. We are focused on application of modern and effective technologies and materials, complex approach to a project and decrease of Client expenses which would finally significantly increase quality of our service. A distinctive feature of “Promstroy-Energo” company’s personnel is its high professionalism and ability to work in compliance with an established work schedule, design documentation and specificity of each project. There are modern and reliable equipment and tools being applied for maintenance and repair works by our personnel. 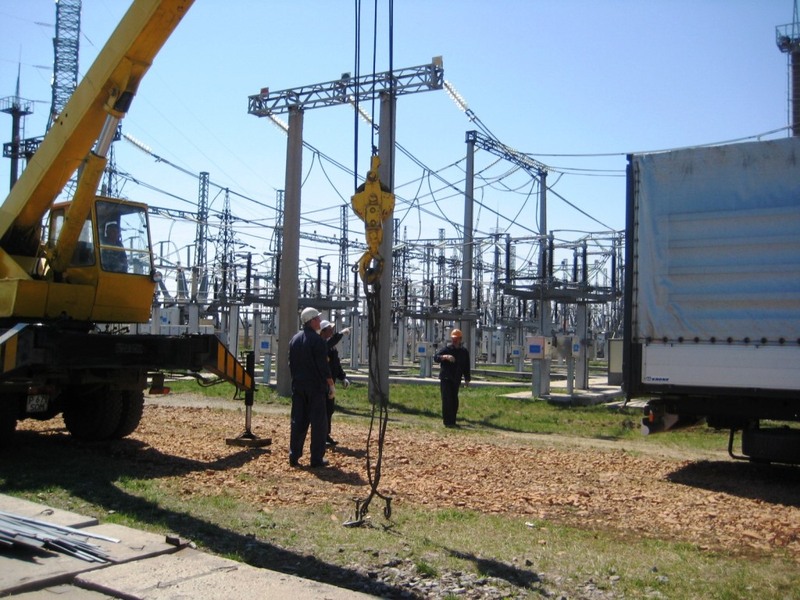 - Replacement of high-voltage equipment and reinstallation of OHTL overhangs on substations of "The Central MPN (Main Power Networks)" branch of “KEGOC” JSC, "Balkhashskaya" SS-220kV, "Metallurgicheskaya" SS-220kV, “Akchatau" SS-220 kV, (Karagandinskaya area). - Reconstruction of main protection means of power lines of 110-220 kV "Osakarovka" SS-220kV, "Metallurgicheskaya" SS-220kV for “Central MPN (Main Power Networks) branch of “KEGOC” JSC (Karagandinskaya area). - Reconstruction of relay control protection means and automation of "Lisakovskaya" SS-220kV (Kostanayskaya area). - Reconstruction of relay control protection means and automation of “Socol” SS-500kV (Kostanayskaya area).